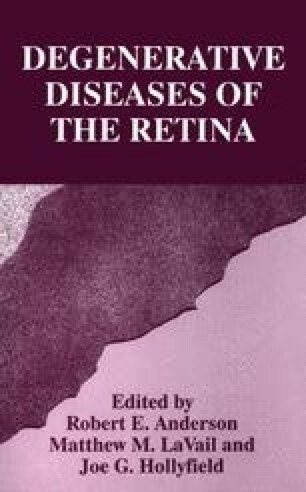 Although often thought of as a disease that primarily affects the rods, retinitis pigmentosa (RP) delays the implicit times of the cone ERGs very early in progression (see ref. 1 for review). The first two panels of Figure 1 show the cone responses recorded as part of a standard clinical protocol from a normal subject and four patients with RP. Cone ERGs are recorded by presenting a single white flash on a background that suppresses the rods (left panel) or by presenting a 30 Hz pulse train, too fast for the rods to follow, to the dark adapted eye (right panel). The vertical dashed lines in Fig. 1 mark the peak times for the normal observer and the patients’ records were selected to illustrate a range of implicit times. In general, patients with RP show delays in the peak response to both the single flashes and the 30 Hz flicker. These delays have been attributed, at least in part, to cone photoreceptor abnormalities, specifically to a decrease in quantal absorption by the cone outer segments (1–3). Other ERG evidence is more difficult to reconcile with only a change in quantal absorption (4–10).